When looking for your family history documenting the sources for the information that you find on your family is VERY important. You absolutely want to take lots of notes when it comes to the information that you find in your search. I cannot stress that enough as I learned the hard way. When you change any information in your tree take a note of it and explain why you made that change. So many times I have found that I made changes to my information and then when I come back to it later can’t remember why I did so. Often times someone will challenge your information and you will want to be able to back it up. If you are using a pedigree chart in the beginning be sure to write down where you found the information. Did someone share it with you? Write down who it was and how they would know. If you are using a program such as wikitree, they require sources and explainations for the changes you make. As your tree grows you will soon have thousands of names in your tree and keeping track of all of them will become more difficult, but if you document your sources and changes when you make them you will find it will be much easier. So, where do you find the information? Today I’m going to be sharing with you places that I like to look for information that will often times open up a new lead for you. Census reports are probably one of the most helpful resources you will find. They offer up much information such as where the family lived, approximate birth dates, family members, sometimes occupation, if they are married or widowed or divorced. ALWAYS look at the document rather than than accepting it from a hint (if you are using a program such as ancestry). Often times I will also look at the neighbors. Neighbors living near by could be family members that can help you to find a lead. 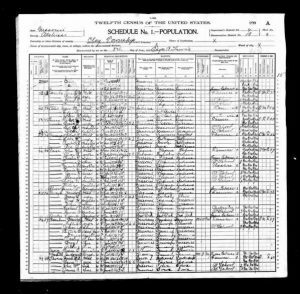 I have even gone back and checked out census reports when I have trouble locating a family member to see if they lived in the same area. Finding similar surnames could just be the clue you are looking for. If you don’t take the time to look at the document you may miss a lot of important information. Cemeteries are one of my favorite places to look. My sister and I visited a cemetery in Iconium, Missouri where my grandmother was born and though I didn’t have my information with me at the time I walked through and took pictures of all the headstones of the surnames I could recall that were in my tree and was able to place dates on many ancestors missing information. 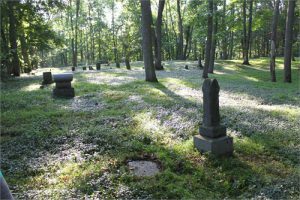 Often you will find family plots where members are buried close by. You may have to walk through the whole cemetry to satisfiy your curiousity. Birth records are excellent sources. Birth records record the date of birth, the mothers maiden name, the father’s name and occupation, and the location. 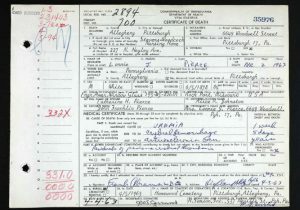 Death records generally have an informate who is usually a relative, but not always. They also tell the cause of death, where the person was living when they died, if they were married, who the spouse is, and where the person is buried. 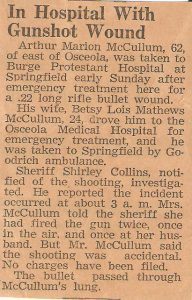 I love looking through old newspapers for information. I have found so many little bits of information that I would not have known about a person by doing so. Here you will find wedding annoucements, engagement annoucements, obituairies, where they visited and oh so much more. It’s a bit time consuming scanning through old papers but it can be a relaxing past time and you will be surprised at the information you might find. If you have not inherited a family album, perhaps your parents have, or one of their siblings has. Someone in the family is surely coveting one somewhere. I love the old pictures, and being able to put a face to a name makes them come alive to you. If you make copies don’t forget to identify it so that you will remember who it is. I spent a whole day with my aunt, scanning, and collecting information, and I put it on a thumb drive without naming each file and when I got home I couldn’t remember who was who. BAD mistake! I thought I would remember but didn’t get to it right away and by the time I did had forgotten many of them. I know so many people that have been given a box of photos after someone has passed and they have no clue as to who is in the picture. Document! Document! Document! 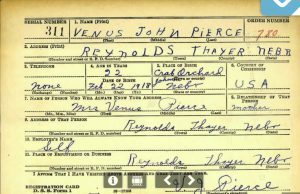 Military records will sometimes tell you a bit about the persons appearance such as their skin color, their eye color, how much they weigh and their height as well as their date of birth, and where they lived when they enlisted. Relatives are often times very helpful in your search. Learn to ask lots of questions. Get the scoop on other family members through that one storyteller in the family. They may have access to photos and books that can get you a treasure of information. They may know of a book that someone else has published on the family that will help you out. Have them fill out a pedigree chart for you on each of their family members. Reunions are a great place to do this. Attend your family reunion and talk to the people you don’t know. Get phone numbers and addresses so you can go back and talk to them later. The library is full of information but it is time consuming. 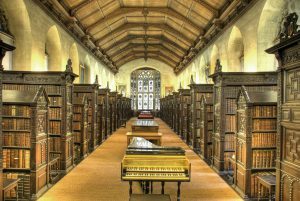 I have spent hours upon hours at the library in search. Some librarys actually have genealogy departments and someone that will help you in your search. I have even emailed or written the library to have information looked up for me and have had great success. I generally will send a monetary donation for the help, and some libraries will require a fee. When your tree matches another you may just have hit the jack pot! Someone else has already done the work for you. Before you start merging their information into your tree…take HEED…as sometimes they might not have done due diligence and the information could be incorrect. Too often I have found tress where someone just started clicking and didn’t check out the information or sources to subtansiate it. This can make a real mess for you. (Been there done that!) Sometimes it just takes that one hint to catapolt you back generations. I feel like I’ve won the lottery if I find a good old fashion obituary. They have a goldmine of information, including siblings, parents, spouses, grandchildren, and even cousins, as well as the date of birth and death and place of burial. Today newspapers charge extra for the personal information to be printed so you might be disappointed in some of the newer obits. However, the older ones will almost follow the person through their life from birth to death giving you an over all story of the persons life. 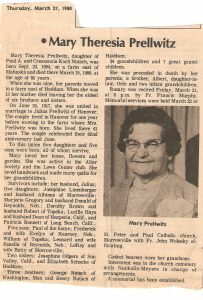 These are just my top ten picks when looking for your family history. Letters, postcards, land grants, wills, social security indexes, message boards and forums, online searches such as Find a Grave, Wikitree, Family Search, Ancestry, and so many more, are just a few places to find you the clues you are looking for. I hope this helps get you off to a good start. If I can in anyway be of help to you please let me know in the comments below, and if you have any questions, or thoughts on how I can be of service to you leave me a message. You really have a great idea. I never think of having this kind article, but it’s really a good article. Thank you so much. I’m glad you enjoyed it! A very informative article, I enjoyed reading cause I never thought to read such article. Honestly, worth read. Thank you Daniel! I’m glad you enjoyed it! This is amazing information I have needed! I have recently been looking back into my family’s history and have never really known how to look into it other that doing ancestry and that never really got me far. So thank you for this! I have taken down notes already on how I can better search for the information I am looking for. Though my family has traveled far and wide, so I don’t think the cemeteries will be helpful till I find where they have traveled from. But the census reports will probably be the first thing I look into, and Military records. I never would of thought to check those things if I hadn’t read this. Thank you. You are very welcome and if there is any way that I can help you in your search please let me know and I am always glad to help! Genealogy is something I thrive on!